There are a lot of sparkling wines on the market, but they aren’t all Champagne. In order to be labeled “Champagne,” the wine must come from the Champagne region of France. This region pioneered the method of making Champagne that is now used worldwide. 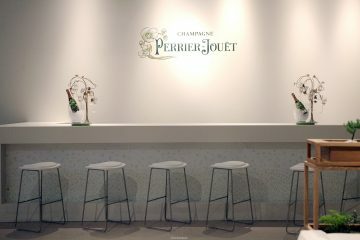 But it is the unique terroir of the region that makes true Champagne special. The region is uniquely suited for growing the three grapes that can make up the bubbly wine: Pinot Noir, Pinot Meunier, and Chardonnay. This northern French region is cooler, and the chalk in the soil contributes to the acidity and character of the grapes. How can you recognize a grower Champagne when you’re shopping for bubbly this holiday season? On the bottom of the front label, there will be a tiny number preceded by two letters. NM (Négociant-Manipulant) signals a larger house that purchases many of their grapes, whereas RM (Récoltant-Manipulant) tells you that the winemaker grew the grapes. According to Terry Theise, one of the leading importers of grower Champagnes, there are now nearly 180 RM Champagnes imported into the U.S, up from 33 in 1997. Grower Champagnes occupy only 2.95% of the market, presenting a great opportunity to try something new. Champagne is one of the elegant extras in life. Whether you try a grower Champagne or opt for a larger house, you should understand the different types of Champagne available. A Champagne label includes a large amount of information about the wine, starting with vintage (or lack thereof). Champagne is divided into vintage and non-vintage (NV) wine. NV Champagnes are the most common and often include grapes from 3 or more harvests. Every so often, a vintage is so remarkable that the winemaker will declare it a vintage year. Remember that while one House may declare a vintage, another may not. Vintage and NV wines are at the discretion of the winemaker. Champagne also comes in several different styles that you’ll see on the label. Blanc de blancs means that the wine was produced from all white grapes. In Champagne, this means the wine is 100% Chardonnay. Blanc de noirs means the Champagne is produced from Pinot Noir, Pinot Meunier, or a blend of the two. You should also pay attention to the sweetness levels, denoted by French terms on the label. 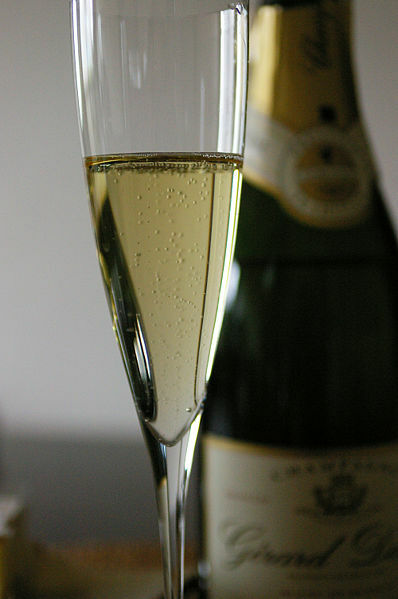 Extra Brut is usually very dry champagne, whereas Brut is dry, but may still be a bit rich on the finish. Extra-Sec and Sec are usually medium dry wines and Demi-Sec is usually the sweetest style you’ll find on the market. Champagne! In victory one deserves it; in defeat, one needs it. Whether you’re having potato chips or pasta, Champagne might just be the perfect match. – Michelle Lentz is a freelance writer based in Cincinnati, OH. She runs Write Technology, where she offers classes on social media and helps people establish their personal brands online. She also speaks regularly at national conferences on integrating social media into training and development. Michelle writes about technology for Brian Solis’s Bub.blicio.us and runs the award-winning blog My Wine Education, which is sourced by Gannett newspapers. Cheers plenty for this article.Thanks Again.